A Denver woman’s house was burglarized on June 3, as she headed to the gym and ran errands. When Sunni Nucci, a teacher at Mountain Range High School, returned to her Beach Street home, she noticed her window was damaged and her back door slightly open. When she got inside, she found jewelry, a TV, and two laptops missing, CBS Local reported. But that wasn’t all that was missing. 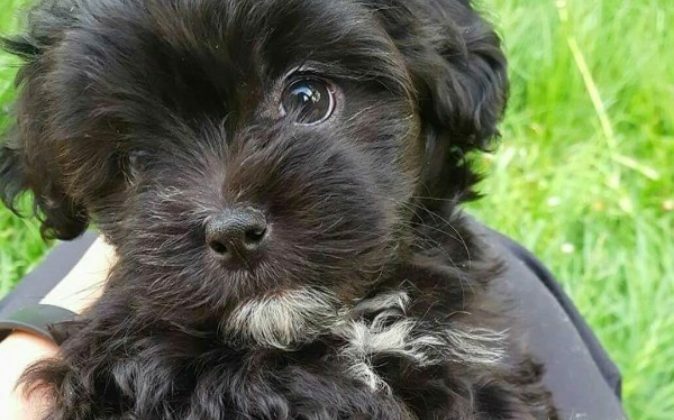 The burglar or burglars also stole her 11-week-old puppy, Bella. Bella is a shih tzu/poodle mix Nucci brought home mid-May. Since the burglary, which transpired between 9 a.m. and 12 p.m., Nucci took to Facebook to recover her missing puppy. She set a $2,000 award on June 13 for Bella’s return, with the help of GoFundMe, raising $1,685 of the sum in just one day. Shortly after—11 days after the burglary—a good Samaritan returned Bella to her rightful owner. According to Fox 31, the woman told Nucci that she paid $200 for the dog outside the Mile High flea market. “When they bathed her on Sunday, they noticed dye washing from her paws. They realized she had been dyed and her paws were purple,” Nucci said. The woman’s daughter recognized Bella from Facebook. The puppy had been scheduled to get a microchip today. “The minute I saw them carrying her to me I knew it was her. The minute we came upon each other, I knew that’s my dog,” Nucci told Fox 31. Although Nucci advertised a $2,000 reward on her Facebook account, she said the family wasn’t interested in the money. “They don’t expect a reward, but I guess that makes me want to give one even more so, so they can go and get a new dog. Whatever dog they want, and that doing the right thing is the right thing,” Nucci said. Bella and Sunni are finally reunited, and Nucci couldn’t be happier. “Please share and let people know that MOST people are good and that sometimes life offers a miracle,” she wrote on Facebook. “I’m so grateful for your prayers and words! Bella has lost weight and has purple paws, but she will be spoiled like no other dog,” adding that before Bella’s abduction, she was already pretty much spoiled.